India on Saturday issued a flood alert for eight districts in the eastern state of Bihar after efforts to clear landslides caused by heavy rains in neighboring Nepal threatened to create flash floods downstream. The Bihar Disaster Management Department (BDMD) earlier on Saturday requested assistance from the military to evacuate tens of thousands of people who live along the Kosi River, which also runs through Nepal and is known there as the Sunkoshi River. The Nepalese military earlier had started to use explosives to blow through a dam of mud and alleviate blockage of the Sunkoshi that had been created by the landslide, which killed 10 villagers and left 100 missing in Sindhupalchok, some 260km north of Bihar. Indian authorities fear that the blasts could create a “wall of water” downstream into the Kosi which would threaten villages located along its embankments. 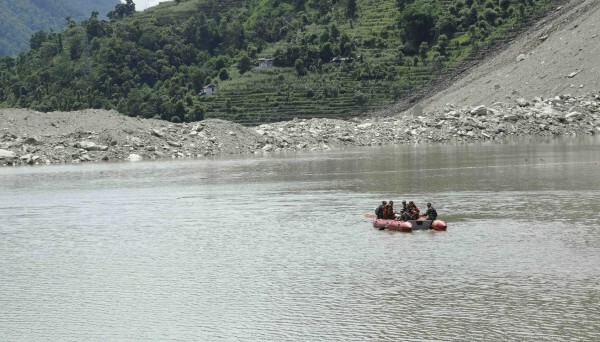 The BDMD said that it was informed by Nepalese officials that a 10-metre high flow of water in Sunkoshi (Kosi) would cross into India late on Saturday. On Wednesday, at least 75 were killed in a landslide caused by two days of torrential rains in Ambegaon village in the Pune district in the western Indian state of Maharashtra.